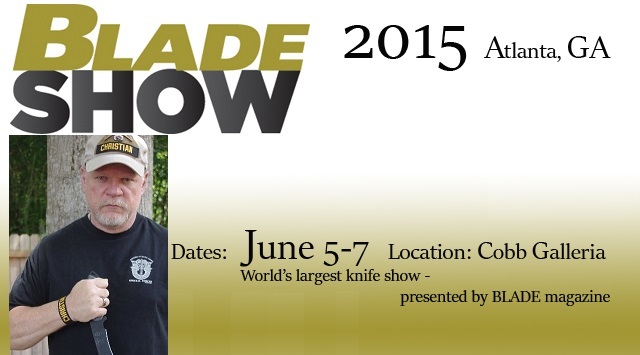 I hope to see you at the Blade Show in Atlanta! I won't be exhibiting this year, but I will be visiting friends, family, suppliers and manufacturers. I'll have a couple new knives to show off, but I'll just be a spectator and an attendee. What a liberating experience that will be. I will finally get to look at everything that I want and talk to every one that I wish to for the first time in about 14 years. I am really excited about that! I sure would like to find one of these at the show. They are made by Antonini in Italy. 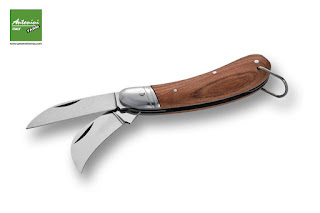 Carbon steel blades, bolsters and frames are iron for strength and the handles are bubbinga. Antonini will be there this year. If you are going, travel safely and please support the knifemaking community. Business has been down since the terrorist attack of 2001 for all but the upper echelon of makers. Help keep the craft alive with your support.